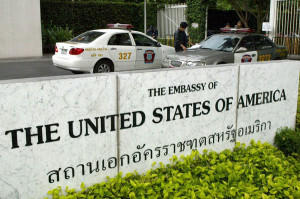 Thailand’s “Color Revolution”: US Meddles Abroad, Accuses Others of Meddling at Home. 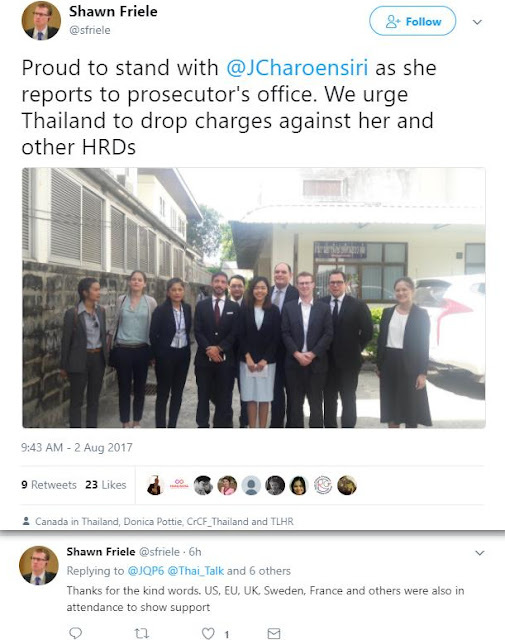 Shawn Friele, Second Secretary (Political) at Canadian Embassy in Bangkok, Thailand, walks with US-funded Thai agitator Sirikan “June” Charoensiri of TLHR, in Thailand amid Thailand’s internal political affairs. Friele regularly visits with other agitators and family members involved in a variety of US funded interference across the country.